I’m fascinated by the album Limpid as the Solitudes, a collaboration of collagist-composer Félicia Atkinson and multi-instrumentalist Jefre Cantu-Ledesma. If there were a record bin nearby, this would probably get filed in the ‘ambient’ row. That would be a mistake. Limpid as the Solitudes is too restless to be background music; it asks for a piece of your attention, sonically waving to remind you of its presence if you happen to consciously drift away. 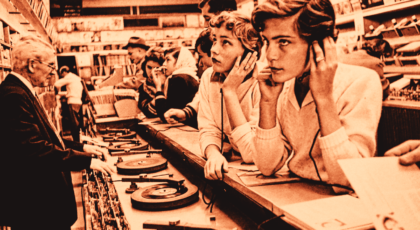 There are found sounds, environmental sounds, sounds that keep us guessing, all accompanying pensive drones, far-away splashes of guitar, sparkles of piano, and other melodic snatches. I’ve played around with environmental sounds that create an imaginary space, a mental movie that fills the listener’s head. But while my music movies used one long take, Limpid as the Solitudes practices quick edits, jump-cuts, and sudden changes of setting. That may sound jarring or disorienting, but the masterful random-but-its-really-not placement of the sounds unexpectedly soothes. It’s like our thoughts, falling from one memory to another, haphazard but oddly reassuring. 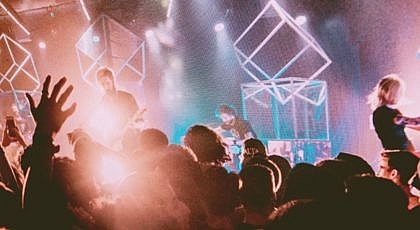 The album’s press release mentions film as an inspiration, naming Chungking Express, Tarkovsky’s The Sacrifice, and Antonioni ’s The Passenger (by the way, those latter two films each feature a famously long shot as opposed to quick cuts). 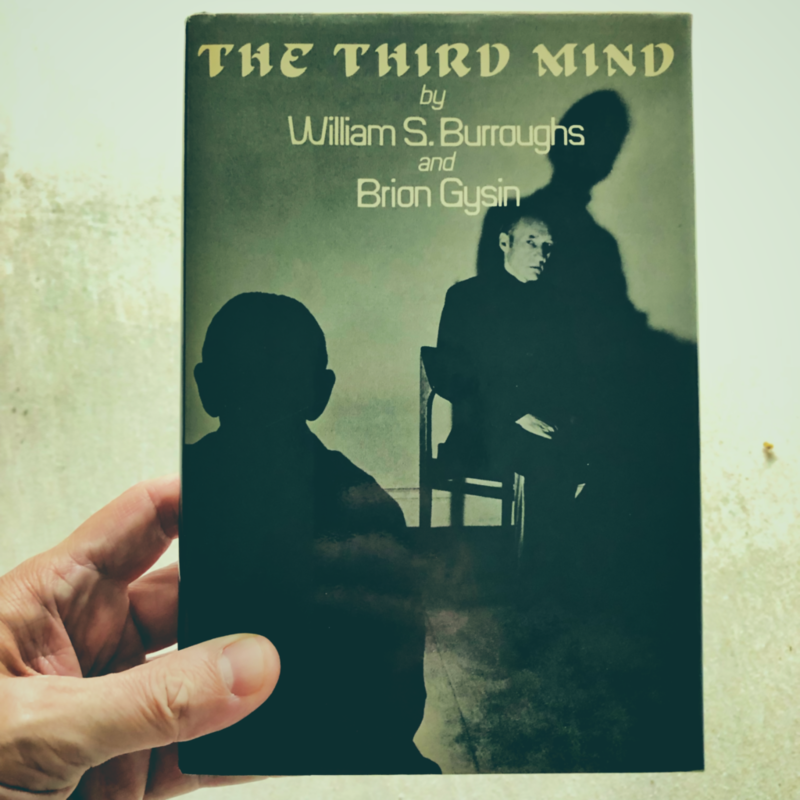 Brion Gysin and his book The Third Mind (co-written with a William S. Burroughs) are also name-checked. The Third Mind offers that when two people collaborate they create a third presence, a creative partner that didn’t exist before. Its reference is probably not just pointing to the duo of Atkinson and Cantu-Ledesma, but also to what’s summoned by the combination of disparate sounds. The ‘third mind’ is also evoked in the manipulation of communication, including sound, visuals, and the written word. It’s important to note that Gysin saw a hidden truth resulting from these mash-ups in words and art. The occasional addition of Atkinson’s whispered, often unintelligible, voice anchors the collage in this human language. Back to memory, these ‘cut-ups’ (as Gysin called them) might resemble the processes of our brains. One memory leads to another, leading to another, leading to another until we have no idea where it started. There’s an inspirational chain leading us on, with the intersections as blurry barriers hiding how the combinations connect. To me, that’s the sound of this album. In an interview, Félicia Atkinson says, ”I want to make music that makes people dance, but in their dreams, or in a state of slow moving.” Last night I listened to Limpid as the Solitudes in bed, with headphones, and quickly fell into that slow-moving dream dance. The uninitiated may think this album is too filled with distractions or too experimental in appearance to be ’sleeping music,’ but I found it calm and comforting. It felt like an inventory of someone else’s thoughts while putting my own aside. That’s an acceptable description of a dream if I’ve ever heard one. Listen now to Limpid as the Solitudes on Bandcamp or all the other places.